Baby Rhino PJ at Baby Rhino Rescue | Adopt and Donate Now! 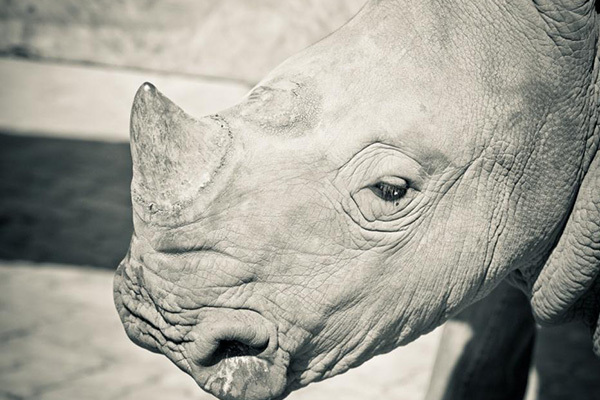 PJ arrived at Rhino Pride on the 14th February 2015 after his mother was shot. His mother, very badly wounded, survived the night in the bush, and in the morning, she took PJ into the open veldt where she seemed to know the rescue team would be. She allowed little PJ a last suckle, and then she lay down and died. PJ is Sheba’s half brother and he has been weaned.